What an incredible day this was!!!! Nicola Pierce came all the way down to Galway to speak to 4 5th/6th year classes from local schools about her wonderful book Spirit of the Titanic. She shared a wealth of information about the Titanic and the lives of the people for ever changed or lost by that one fateful day. 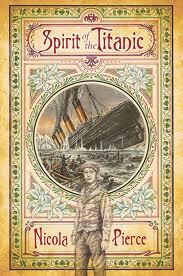 Told from a completely unique perspective, Spirit of the Titanic is one book you all must read. Many, many thanks to Nicola for an event none of us will ever forget! At Dubray Books, Galway, it was another busy World Book Day event day, with 118 children from local schools coming through the shop. Today they were entertained by ...me! reading to two classes. But even more exciting than that, the magnificent Patricia Forde read to two local class groups. She had some 'secret' new works that she shared with the children, helped them create their own stories and read from Binji, and great favourites, Frogs Do Not Like Dragons and Hedgehogs Do Not Like Heights. What a brilliant day!!!! My favourite week begins... excited! Kevin Whelan reads his work to enthralled 3rd class students. ... two local school classes with his scary tales. 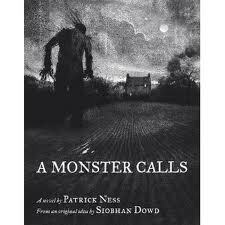 A Monster Calls has been awarded the Red House Children's Book Award 2012. The Red House Book award is unique in that it is voted for only by young readers from a shortlist drawn up by children's book groups across Britain. Over 80,000 votes were cast this year and the winners were announced at an awards ceremony at the South Bank centre as part of the 2012 Image Festival. Big congratulations to Patrick Ness! World Book Day.. two weeks and accounting! It's exactly two weeks until the actual World Book Day! (so ridiculously excited!) I'm pleased to report that, at Dubray Books, Galway, we're all set for a knock-out week! Five days, 18 sessions and a wonderful group of authors and story-tellers; not to mention the all-important and totally fabulous school classes who are all lined up and ready to go! 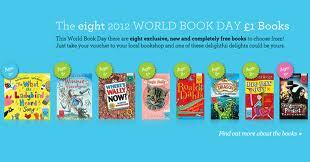 And to all of you out there... make sure your children have received their World Book Day €1.50 tokens from the schools. 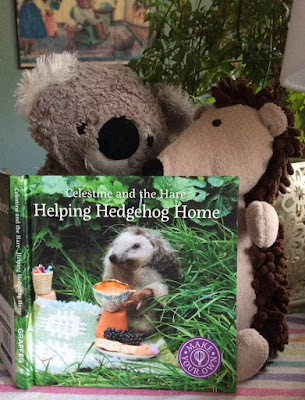 The tokens can be used to purchase one of the books specially produced for World Book Day; or they can be used against the cost of any other book. (One token per book) The tokens are valid from 27th February through 25th of March. 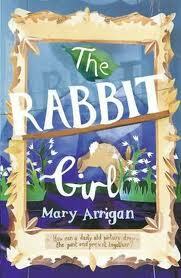 Mary Arrigan has just received high praise indeed for her childrens' novel The Rabbit Girl. This beautiful, gentle and intriguing book has been selected as one of the Outstanding International Books 2012 by the Committee of the United States Board on Books for Young People. This is a wonderful read crossing generations with a surprise revelation; charming, literate and exquisitely written with both a fascinating plot line and memorable characters. But I'm just going to let you read the information for yourselves. World-War II in London and Windermere, and in modern day London which features the irrepressible Mallie and her friend who set about reorganising Mallie’s mum’s love-life. Linking all the strands of the narrative together is a delicate sketch of a rabbit. The novel has also been short-listed in England for the Calderdale Award and the Hillingdon Book Of the Year. Mary, who has 42 books published so far, is no stranger to international recognition as many of her books have been translated into 10 languages. Past awards include The International White Raven (Munich) and the Bisto Merit Award. Her adult short stories have won The Hennessy Literary Award and the Sunday Times Crime Writers Award. In addition to The Rabbit Girl, Mary Arrigan has also written The Choclate Moon, Esty's Gold... and many, many other wonderful reads for young people. It really doesn't matter if you're rich or poor. They're free for you to borrow, so help yourselves. So see if there's a book that she can recommend. You can borrow all the other ones the author's written. There's something here for everyone, whatever your addiction. And help make sure it'll still be here tomorrow. In a number of counties in the UK, there have been successful campaigns against library closures... but elsewhere, there have been many losses. This includes a court attempt to save six libraries in Brent, north-west London. What would we do without our libraries?????? 'A Wrinkle In Time' Turns 50! This year, the book, A Wrinkle In Time by Madeleine L'Engle is celebrating it's 50th year of publication. (I'm sure I mentioned this as upcoming sometime last year... and thanks to David Maybury for the blog reminder). A truly incredible journey of a book... if you haven't ever read it, you really should. Give it to your children, share it in the classroom... please, please pick up this book ASAP. If you have read it, read it again. It will amaze and enchant you all over again. 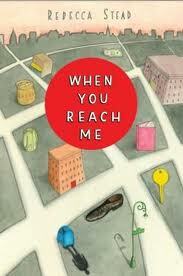 Also, one of the best books of last year is Rebecca Stead's When You Reach Me, which was written (in part) as a tribute to Madeleine L'Engle's outstanding story. 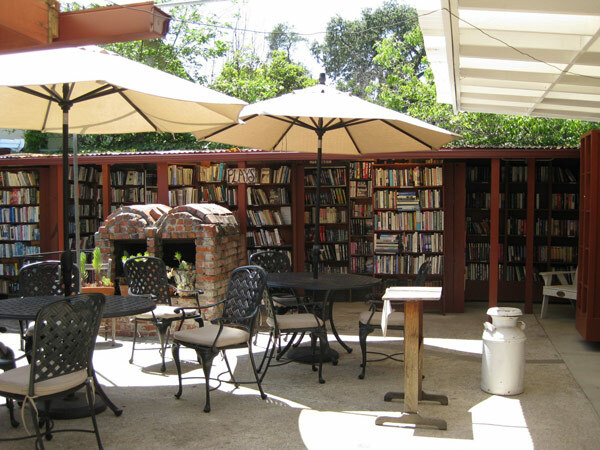 On this chilly February morning (February 2nd...Happy Groundhog Day, by the way), here's a link for 'The Most Beautiful Bookshops in the World'. Pointed out by our good friends at Children's Books Ireland, they really are spectacular. If you're feeling particularly cold and dismal, check out the bookshop in Ojai, California (above and link via Book Chatter blog to more of Bart's Books 2nd below). It'll warm you right up!